Home / beauty-tips / castor oil / hair care / hair growth / health / healthy lifestyle / home remedies / lifestyle / living well / skin care / skin moisturizer / wellnss tips / Castor oil for skin and hair growth: what are the beauty benefits? Castor oil for skin and hair growth: what are the beauty benefits? Castor oil has a large number of properties which make it natural and safe cosmetics especially that its benefits in this regard include hair and skin alike. Castor oil is one of the most famous natural oils known for its therapeutic and medical benefits on hair and skin. In castor oil triglyceride is made up of fatty acids with up to 90 percent of them are ricinoleic acid. This acid gives castor oil laxative properties. 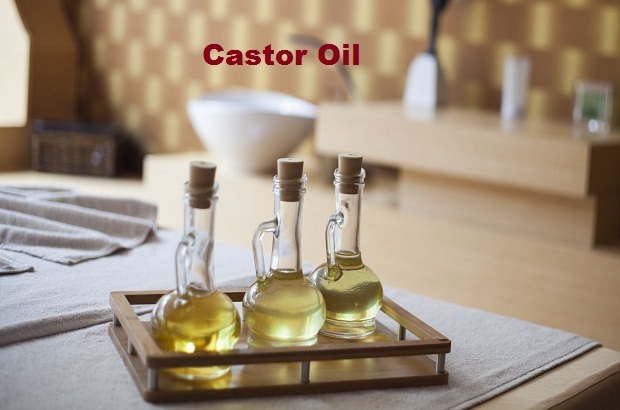 Castor oil is transparent in color and sometimes it is pale yellow and very light, it is an oil that does not smell normally, but sometimes it smells very light and unclear. Castor oil is characterized by deep penetration of hair and scalp, but it is a very heavy oil and difficult to remove from the hair and scalp after use. 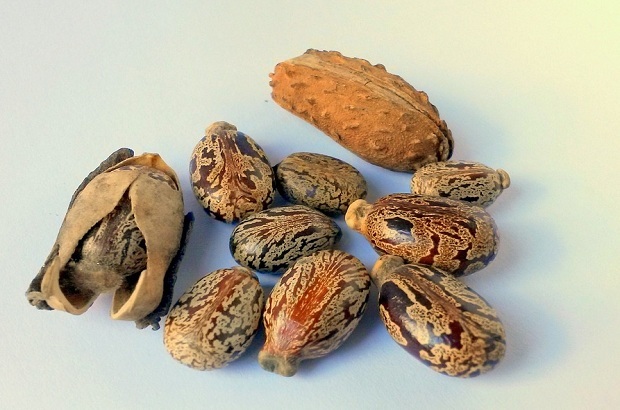 Castor oil is extracted from castor beans (the scientific name: Ricinus communis). Castor beam is a group of perennial trees belonging to the Euphorbia species of plants and it is also known by the same name as the castor tree, which grows especially in high-temperature areas and therefore grows in countries such as Egypt, Mexico, China, and Brazil. This natural oil is used for a variety of purposes, but experts call it a natural cosmetic and consider it a safe alternative to the group of chemicals for the care of hair and skin, you will read in this article what the benefits of castor oil are in this regard? Castor oil contains antioxidants that resist free radicals on the body, which are responsible for accelerating the appearance of signs of aging and thus the appearance of wrinkles. Experts confirm that the application of castor oil on the skin periodically and regularly may eliminate the resort to cosmetic operations in the future; where many studies have proven that the oil has the ability to penetrate the layers of the lower skin, and that the materials contained in the regeneration of damaged cells, It also stimulates the production of collagen, which helps to moisturize the skin and restore its freshness, and it delays the appearance of fine facial lines and deflation and other signs of aging process. One of the most important benefits of castor oil is that it is one of the natural substances effective in the fight against acne, the secret is due to the containment of these oil high percentages of the ricinoleic Acid, which has many health properties, including its ability to fight harmful bacteria, which is the causative for acne and facial pimples. Dermatologists and cosmetic experts advise people who are exposed to sunlight for long periods of time to take advantage of the castor oil for the skin. Scientific studies have shown that compounds containing this type of oil accelerate the pace of treatment of skin infections caused by sunburn. Dryness is a serious risk to the health of the skin as it is threatened by many problems such as roughness and cracking of the skin, as well as it speeds up the appearance of wrinkles and deflations and signs of aging. Everyone - especially women - is looking for the best preparations or materials that may help avoid this problem. The castor oil helps to treat skin dryness problems. It can be used by mixing equal amounts with coconut oil, apply the mixture to the affected areas of the skin, leave it for twenty to thirty minutes, then wash the face and dry it, you will see the dryness problems have disappeared. Dermatologists consider that castor oil may make a difference in this regard, as it penetrates the cells of the skin and provides it with the necessary elements and compounds, and therefore it works to nourish, helps to moisturize the skin and thus maintains the freshness and shine. The use of castor oil regularly reduces the effect of skin pigmentation. In this, fatty acids penetrate the effective tissues and promote the development of healthy tissue around them, which reduce their size. Castor oil also helps to unify the skin color, reduce pigmentation marks and marks on the skin, significantly on omega-3 fatty acids it helps to nourish the skin, stimulating healthy skin rejuvenation. Dark spots and dark circles are a source of discomfort for millions around the world, especially women. However, Dermatologists believe that this problem can be solved in a simple way and through a safe natural group, including cast oil. High natural compounds, purification of skin cells from various impurities, as well as help to remove dark spots and black circles and also contribute effectively to the unification of skin color. Castor oil has been used for a long time in the hair care and prolongation, which has been scientifically proven in the modern era through many studies and scientific research, which confirmed that the commitment to the application of castor oils on the hair on a regular basis significantly prolong it; Where scientists believe that the natural materials contained in this oil at high rates help to increase hair length 3: 5 times: the normal growth rate per month. The hair is exposed daily to many factors that can damage it such as dust and heat of the sun, as well as cosmetics, hair dryers and so on. The most important benefits of castor oil are that it contributes effectively to prevent the scalp and hair from the negative impact of those factors, which may reach the extent of weakening hair and falling. The most important benefits of castor oil are its effective contribution to the treatment of this problem because it contains high levels of ricinoleic acid, which helps strengthen the follicles and ensures healthy and strong hair and prevents the appearance of dandruff. The effect of ricinoleic acid does not stop at this point. It works to combat the group of fungi and harmful bacteria that grow in the scalp, which is a major cause of hair loss, which means that the application of castor oil on hair regularly limits much of the risk of any non-genetic baldness. Studies have shown that castor oil has a great ability to increase the density of hair significantly due to the natural materials that contain high rates such as vitamin E and fatty acids, and then it provides the scalp with group nutrients needed to help the growth of hair in a healthy manner. It also helps to increase the thickness of the capillaries and thus increase the level of density. Getting a fine and strong hair is a difficult dream for millions around the world, but as the results of the studies, castor oil have shown a positive effect in this regard, it has contributed to transforming that dream into reality. castor oil contains many beneficial nutrients for hair that moisturize and increase. Experts confirm that regular application of this oil on the scalp delivers amazing results lasting for long periods. The benefits of cosmetic hair oil are not limited to the head hair, but also beneficial in the lashes, as the educational experience has shown that applying castor oil to the bristles of the eyelashes helps to prolong it naturally. But while applying this oil, you should consider using a fine brush avoiding the arrival of oil to the eye as this may be inflated and redness. Castor oil is one of the most important oils that has many cosmetic properties and contains many natural substances and compounds, especially omega-9 fatty acids and ricinoleic acid. It should always be present at home because it is an effective treatment for many skin and hair problems. If you have any problem with your skin, hair or even nails, know that castor oil is the best solution for it.